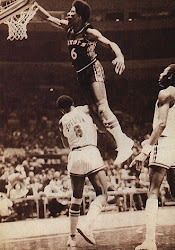 When I first started watching the NBA as a kid, Dr. J was my favorite player. 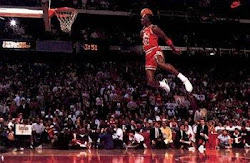 He would invent crazy moves and could out jump his opponents and hang in the air for obscene amounts of time. It seemed that he was operating under a different law of physics than everyone else. When I was a teenager I was obsessed with trying to dunk a basketball. I remember how good it felt the first time I was able to do it. Back in my prime I could do just about anything, but 25 years I don't have the same vertical jump left. 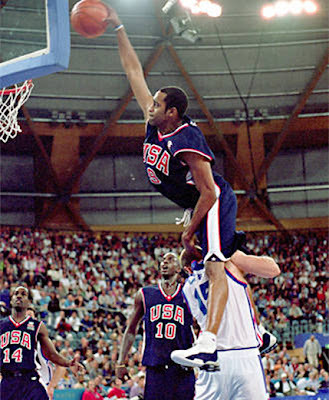 I still love watching a good dunk. Most of the great dunkers today give credit to players like Elgin Baylor, Julius Erving, and Michael Jordan for setting the standard that they emulated and surpassed. 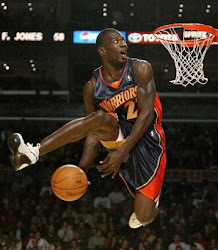 Below I list my all time favorite dunkers in the NBA. I have ranked them in order of their dunking ability only not their overall play or off the court behavior. I am obviously talking about them in their prime. 1. 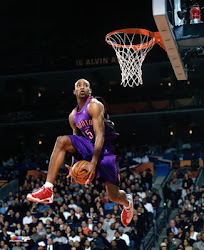 Vince Carter-He is amazing. I can't believe his dunking confidence and the ridiculous stuff he has pulled off in games. I still think his dunk over the 7 ft. French player in the Olympics was one of the greatest dunks I've ever seen. 4. Julius Erving-Other players may have pioneered dunking, but he turned it into an art form. He's known for being the first to dunk from the free throw line. Sadly, he had even greater hops while he was in the ABA so what we saw in the NBA was just a fraction of his jumping ability. 5. Charles Barkley-Despite a heavier build he could get up for some physical dunks. 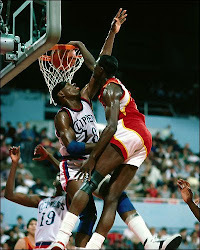 I especially liked the fact that most of his dunks were in traffic with multiple defenders trying to guard him. 8. Darryll Dawkins-Made an art form out of naming his repertoire of dunks and shattering backboards. 9. 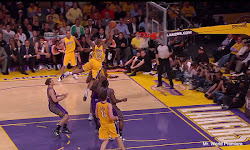 Kobe Bryant-He seems to be unstoppable at times. One of the few guys who helped me make it through Jordan's retirement without slitting my wrists. 10. 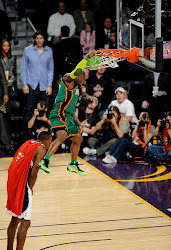 Dwight Howard-This guys is just a kid and dunks more than any player in the NBA. He resurrected the dunk contest a couple years ago and can really get up for such a tall player. Honorable Mentions: , Nate Robinson, Jason Richardson, Lebron James, Blake Griffin, Larry Nance, Spud Webb, Harold Miner, Dee Brown, Steve Francis, Shawn Kemp, Jerome Kersey, Terence Stansbury, Orlando Woolridge, Kenyon Martin, and Darrell Griffith. I just saw some Blake Griffin Highlights today from the Nicks/Clippers game. I don't usually give rookies attention so soon, but that guy is a dunking beast and has already moved up to my honorable mention list. I saw Blake Griffin Play against the JAZZ. He is the real deal! Hall of fame in the future.